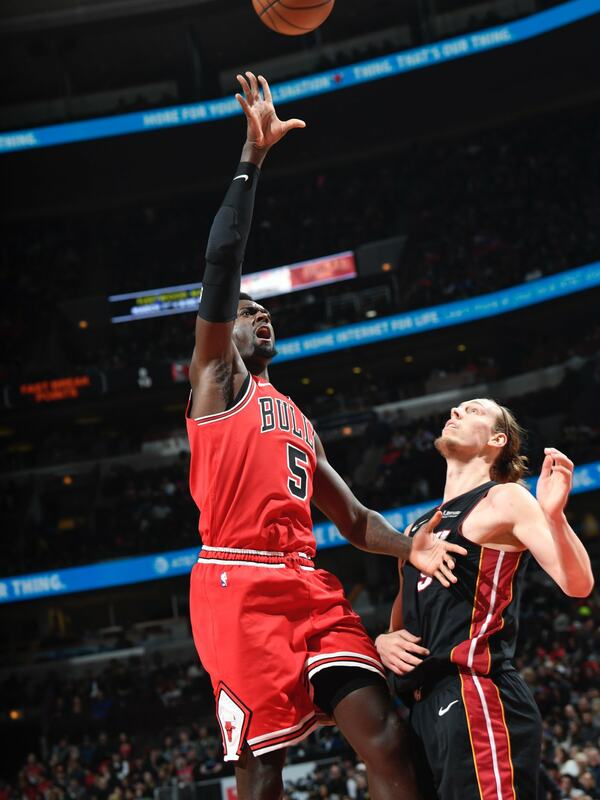 The Bulls Saturday lost their 10th consecutive game, a 117-103 disappointment against the Miami Heat. The Bulls' record fell to 10-36, thus setting up something of a rare pressure game as the Bulls are in Cleveland Monday to play the only team in the league with a poorer record. Though that was hardly the worst of it for the Bulls. Because the frustration fever that has been infecting the Bulls presumed core young players, first Lauri Markkanen and then Zach LaVine, appears as if it is becoming epidemic with yet another sickly effort from point guard Kris Dunn. The Bulls got at least 20 points from three players, led by Zach LaVine with 22 points. Bobby Portis with 21 and Markkanen 20 points and a team high nine rebounds. Only Jabari Parker otherwise scored in double figures with 11 points in 17 minutes. Miami was led by Josh Richardson with 26 points and Dion Waiters with 21. Tyler Johnson and Dwayne Wade added 14 points each. Dunn finished with six points and five assists and shot three of 14. That makes Dunn 14 for 49 shooting in the last five games. "You could say it's multiple things if you want. At the end of the day, we just have to come together, buckle down and find a win somewhere." "Definitely going through it," Dunn acknowledged. "It's part of the NBA. It's on me to find a way to get out of it. Offensively, I feel like I'm getting to my spots; it's just not knocking down right now." Which happens in the NBA. It's more complicated than that. Dunn is going through a dreadful stretch in which he's led the team in negative plus/minus just about every game the last two weeks and again Saturday at minus -17. He's had extraordinary negative plus-minus ratings—which measure how the team fares when you are on the court—like minus-25 against the Lakers, minus-26 in Denver, minus-45 against Golden State, minus-9 against Utah, which also was larger than the deficit. It suggests a lack of defensive efficiency as well, and Dunn is the latest going through a deterioration after Markkanen slumped in January until playing more forceful the last two games with back to back games of at least 20 points. On the recent road trip, LaVine had 18 points combined in back to back games and is shooting 22 of 66 the last four games and averaging 15 points in that stretch. "Something's obviously wrong," said LaVine. "We weren't losing (by) double digits earlier in the season. We might have been losing, (but) we didn't have a full roster (with injuries). We're a better team now and we're getting blown out. It doesn't make a lot of sense. We go out there and play hard. You can't fault effort. It's not like we're going to go out there ‘Oh, we're going to lose today.'" But the losses are mounting, and it's maddening. 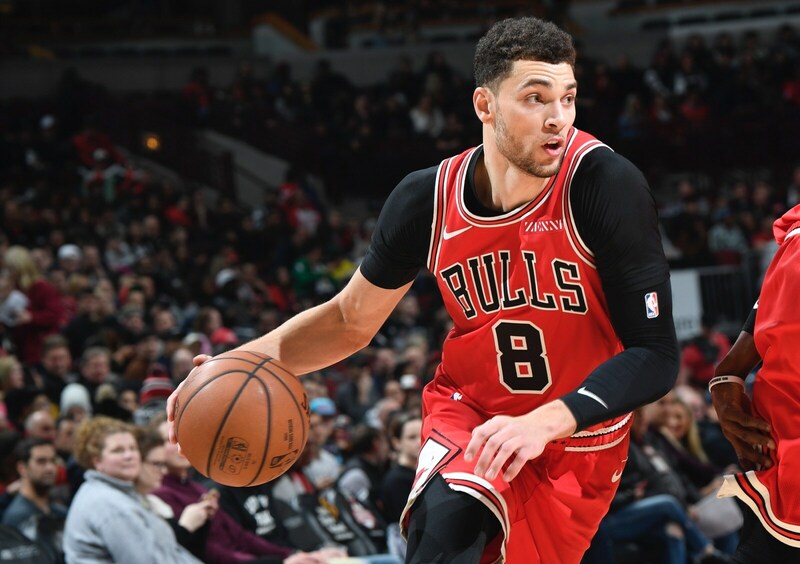 If this season is less about wins and losses—or even a lot of consecutive losses—as Bulls management has said, it is about the development and advancement of the presumed core players. The Bulls got bad news about that on their return from the Western Conference road trip when rookie center Wendell Carter Jr. learned his left thumb injury is more serious than initially believed. It's possible he will have surgery, which likely would force him to miss the rest of the season. 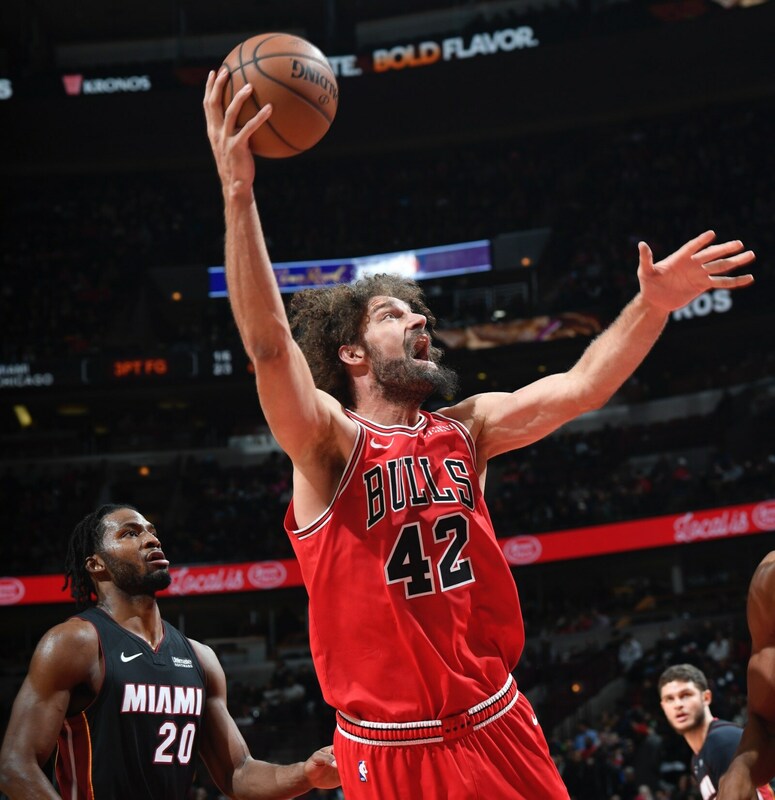 Robin Lopez started for Carter Saturday after Bobby Portis did in the trip conclusion in Denver Thursday. The three vital players from the Jimmy Butler trade, Dunn, Markkanen and LaVine, have mostly been playing together for the last month, except for LaVine's five-game absence for a sprained ankle. But it's been a disjointed period with Markkanen seemingly finally escaping from his funk, LaVine playing unevenly after being at an All-Star level for almost two months and now Dunn crashing. "Obviously, he's (Dunn) struggling shooting the ball," said Bulls coach Jim Boylen. "His little float game, his mid range shot is not going in for him. He knows he can play better, he wants to play better. He takes ownership of his play. That's one thing I like about him. He's pretty real about it. We've got to keep supporting him, keep coaching him and helping him through it; that's what this is all about." It's a work with not enough progress these days after the Bulls had one of their better starts in weeks. 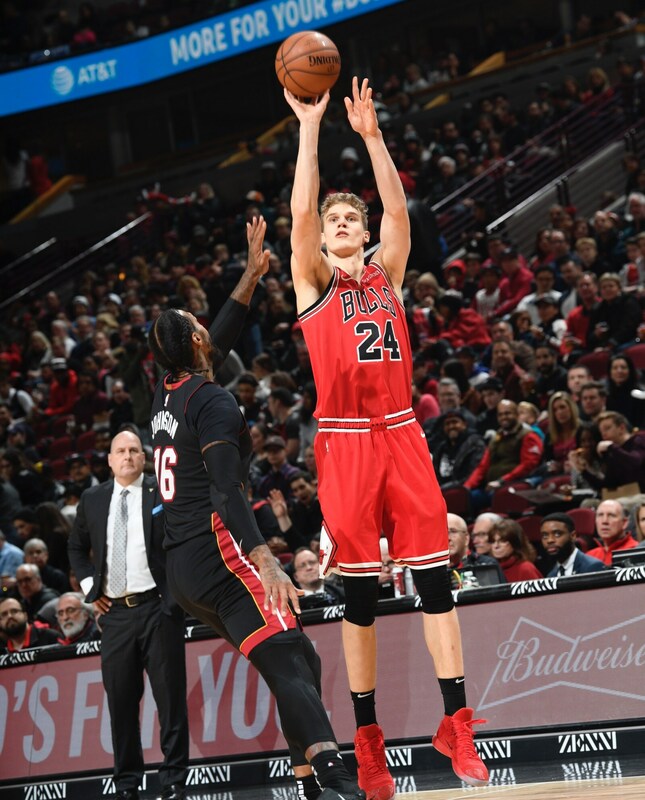 Pushing the pace, throwing ahead again and, as a result, giving Markkanen more space for shots, the Bulls played a spirited and appealing first quarter despite trailing 31-30. They still lacked three-point shooting volume even if Lopez opened their scoring with a three. "I felt we were in control of the game maybe until the last three minutes of the second quarter," said Boylen. "I didn't think we managed the end of the quarters very well, including the end of the first half. Those things hurt you; they add up." Though Dunn's mid range speciality wasn't falling, he generally has made that shot with consistency this season. Perhaps the larger problem is the way he shrinks the court with his play. He tends to weave around a screen for a shot or then a drop off pass. But that style of play often doesn't spread the offense for enough three-point shooting. "I'm going to get my guys the ball," repeated Dunn in a familiar refrain. "But I have to be aggressive at the same time. I have to make people respect me. Early on (in the season), shots were falling. Just going through it right now." Portis came in to start the second quarter shooting, which is not unusual, but compared to lately he was making this time with nine points in about three minutes. That gave the Bulls a 42-36 lead and they pushed it to 47-38 with a Markkanen three off a LaVine pass as LaVine led the Bulls in assists for the third straight game. Parker added a powerful rebound and slam dunk to retain the nine-point lead before Miami's 15-8 close to the half to pull within 57-55. "What we haven't been able to do is sustain our effort, our energy or our pace of play throughout the 48 minutes," lamented Boylen. "It might be the effort on defense that gets us for six minutes, it might be offensively we get stagnant a little bit, low energy for six minutes. And you add those 12 minutes together and we're just not good enough. Our margin for error is not good enough yet to overcome that. I thought we had maybe 28 minutes of really good basketball tonight. That's not enough." Again, it was a third quarter drought that changed the character of the game for the Bulls. Though the Bulls still led 68-66 midway through the third quarter, it became almost a matter of time before Miami began making its threes. The Heat, 22-22, was three of 15 on threes in the first half. But they added three more in the third quarter and then seven of eight in the fourth to make it yet another double digit Bulls deficit and little to play for in the fourth quarter. "I thought our defense was poor in the fourth," said Boylen, though Miami shot 57 percent overall. "We call them skirmish moments, the battle inside the battle and the battle inside the war. We've got to win those moments. Whether it's an offensive rebound, a loose ball, maybe a transition play. Sometimes it's a missed assignment and they make two threes and then they get a little separation, a little confidence. I thought that happened tonight. I just think we are struggling with the physicality of the game defensively. We have new guys playing, we've got guys playing who have been out, missed assignments." Including Dunn lately, and not just with a shaky offense at the position many regard as the most vital in this NBA. Does Dunn have it? Can he find it? Is it there? Dunn has been expected to be the defensive head of the snake, as it were. But his aggression on defense also seems to have slipped. He often gets buried in screens, opting to play the lanes for steals instead of the physical and severe man defense that the team needs. Some of it is strategy as the Bulls often play switching schemes and, like against Denver, going under screens to repel inside scoring. Though Miami had a discouraging 58-40 lead in points in the paint. The Bulls had just 19 assists as they reverted to more standing around and a slower pace in the second half, 12 of their 14 fast break points coming in the first half. "Definitely frustrated to lose," said Dunn. "We just got to get that one, get that one win to be able to clear our heads and stop the madness. I think once we get a win we clear our heads and get the monkey off our backs. "You could say it's multiple things if you want," said Dunn. "At the end of the day, we just have to come together, buckle down and find a win somewhere. I feel like everything will handle itself from there. There are times we compete in the first half and we don't follow it up in the second half. That's on us. In the first half, we had great pace on the offensive end. Defensive end we were getting stops. In the second half, they came in with that spirit and more aggressiveness. They punched us in the mouth and we didn't respond." There's still time, as it's frequently said with these Bulls, but not unlimited.